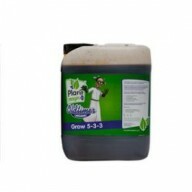 Our commitment is to provide products that will increase soil fertility, nutrition and microbial activity, bringing together many elements from nature; from beneficial fungi and bacteria to natural stimulants. 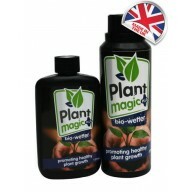 Our products will ‘promote healthy plant growth’ far better than nature itself could ever hope for. 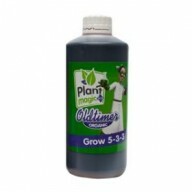 Plant Magic Oldtimer Grow 1Ltr Plant Magic Oldtimer is an organic soil nutrient with the perfect proportion of NPK to encourage healthy growth right through to harvest. 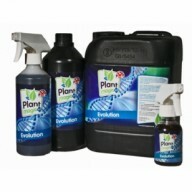 It also feeds beneficial fungi and micro organisms into your soil, which improves the root zone and the plant’s ability to up..
Old Timer Bloom As well as having the correct proportion of NPK to ensure a healthy crop right through to harvest, this special formula will also feed beneficial fungi and micro-organisms ensuring a happy, thriving growing medium. 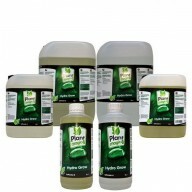 We are very confident that this nutrient will give outstanding .. 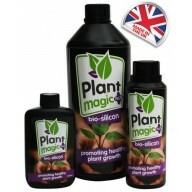 Soil Bloom The Plant Magic soil range has been specially developed to promote fast growing, healthy, strong, high yielding fruit crops. 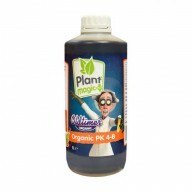 This special blend contains humates, trace elements, Magnesium and Calcium all mixed at the correct proportions to ensure rapid, healthy growth. 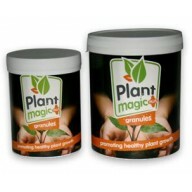 Both Magnesiu.. 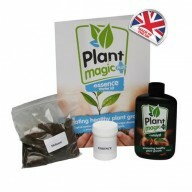 Soil Grow The Plant Magic soil range has been specially developed to promote fast growing, healthy, strong, high yielding fruit crops. 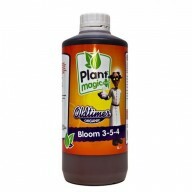 This special blend contains humates, trace elements, Magnesium and Calcium all mixed at the correct proportions to ensure rapid, healthy growth. 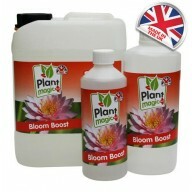 Both Mag..
Coco Grow This product has been specially developed to promote fast growing, healthy plants throughout the vegetative stage.The balanced ratio of secondary nutrients along with a full compliment of trace elements is unique for plants growing in a coco coir medium, stopping lock-out or deficiencie..
Hydro Bloom This product has been specially developed to promote fast growing, high yielding, healthy fruit and flowering crops.The balanced ratio of secondary nutrients along with a full compliment of trace elements is unique for plants growing in all types of hydroponic system or soil-less medi..
Coco Bloom This product has been specially developed to promote fast growing, healthy plants throughout the flowering stage. The balanced ratio of secondary nutrients along with a full compliment of trace elements is unique for plants growing in a coco coir medium, stopping lock-out or deficienci..
Hydro Grow This product has been specially developed to promote fast growing, high yielding, healthy fruit and flowering crops. 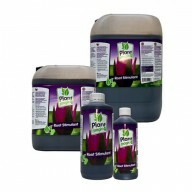 The balanced ratio of secondary nutrients along with a full compliment of trace elements is unique for plants growing in all types of hydroponic system or soil-les.. 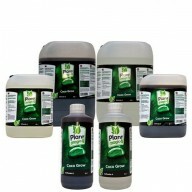 Essence is a highly concentrated bio-culture containing over 20 strains of micro organisms to re-establish balanced bio-activity. * We also highly recommend the use of GRANULES and BOOST to ensure that your crop remains healthy and fungal free from the roots to the tips of the leaves. 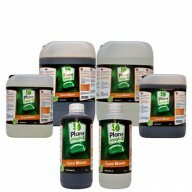 Benefits of Ess.. 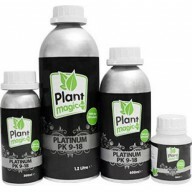 PLATINUM PK 9-18, Explosive Flowering PLATINUM PK 9-18 differs greatly from its competition due to a unique complex blend giving simply phenominal results. 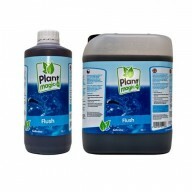 Plant Magic platinum PK 9-18 is a unique flowering stage enhancer which is enriched with bio-stimulants, sulphur an..
Plant Magic Oldtimer is an organic soil nutrient with the perfect proportion of NPK to encourage healthy growth right through to harvest. 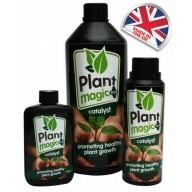 It also feeds beneficial fungi and micro organisms into your soil, which improves the root zone and the plant’s ability to uptake nutrients. 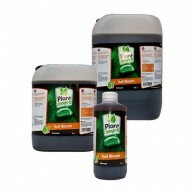 Oldtimer is derived f..